Special gifts are granted if you book with us. 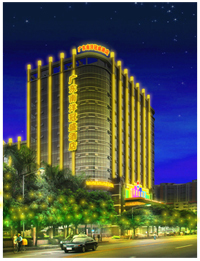 Prices include service charge, but not include taxes or other additional charges by the hotels. 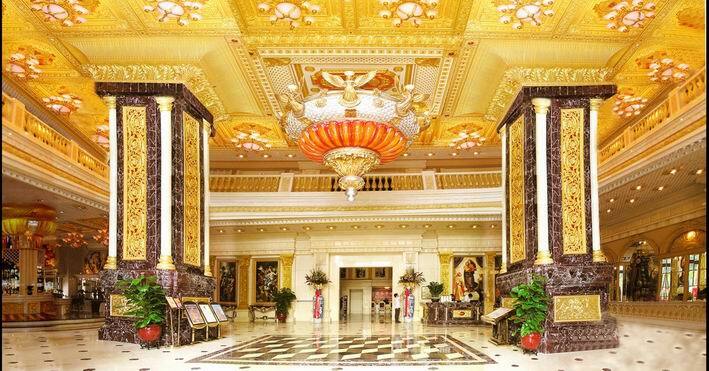 NanYang Royal hotel has an operation area is 30,000 square meters and our 268 elegant rooms and suites are designed with Victoria artistic style.Our special interior design make you feeling live in Palace. Every floor is 3.7 meter high. The Room facility and decoration is Excellent. 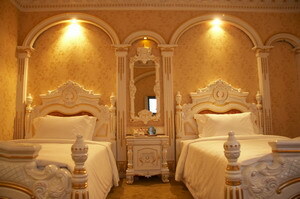 The beds are very big and comfortable, Kingsize bed is 2.3 * 2.2 meter and Single bed has 1.5 * 2.2 meter. Each room equipped with Internet access, Mordern Large 43 inch Screen LCD, and all single rooms have super king size bed, our bathroom are set modern style multifuntion shower set, you can get rid of tiredness in large and clean bathroom after a long time trip. NanYang Royal Hotel is on the opposite of TianHe Park , all the Superior Lake view room provides ample sunlight through French windows, you can touch and feel fresh air everyday and enjoy modern city night view everyday. Our Chinese Restaurant provides Cantonese Food, sumptuous homemade food and famous specialties, such as shark's fin, abalone, scallops, and seafood. A choice of many international dining options cuisine and seasons all-day in room dining. The Triumph Palace Multifunctional Large-SCALE Conference hall can accommodate to 800 people for banquet, for cooktail receptions and can be adapted for any other function,all of our trained staff provide full-basket and professional service to meet different customer demand. As one of the best hotel resurant, the Luis Resturant features daily lunch and dinner buffet. A true winner with children and dessert lovers, the cake at the dessert table is a temptation you can not refuse. Copyright©2019, WenTrip.com. All Rights Reserved.